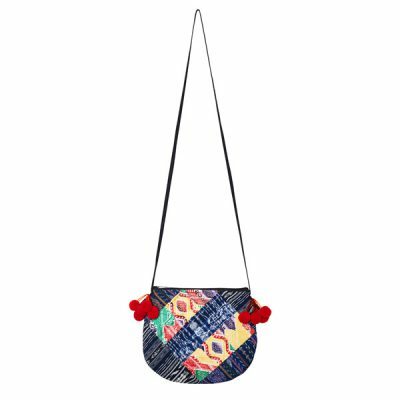 This colorful pompom crossbody bag with aztec pattern is a real eye-catcher for festivals or the city bustle – no matter if classic, sporty or casually combined, this pompom crossbody bag is a highlight for every boho look! 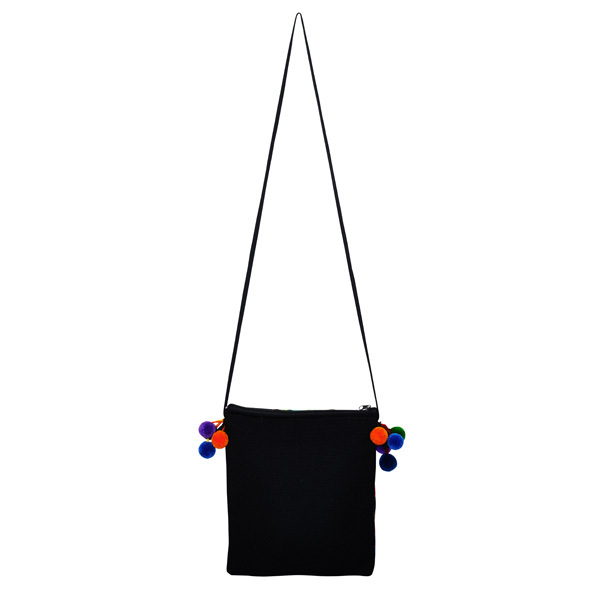 Keeping your hands free you can carry the bag easily cross-body or as a shoulder bag. 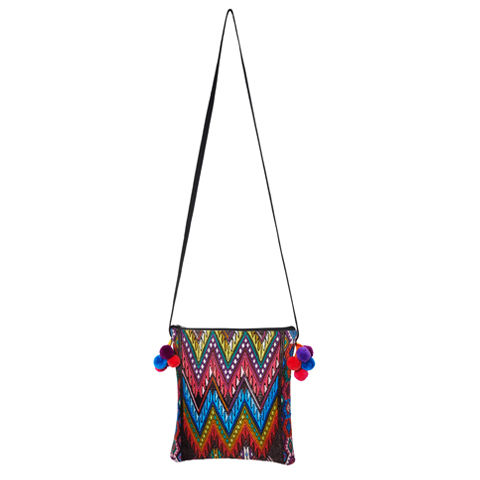 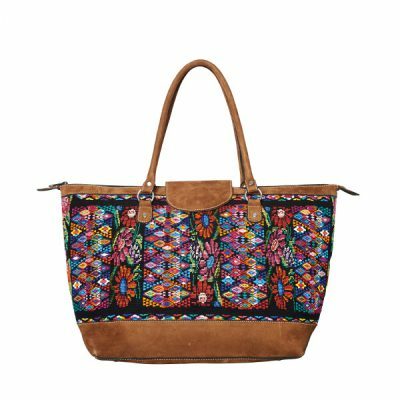 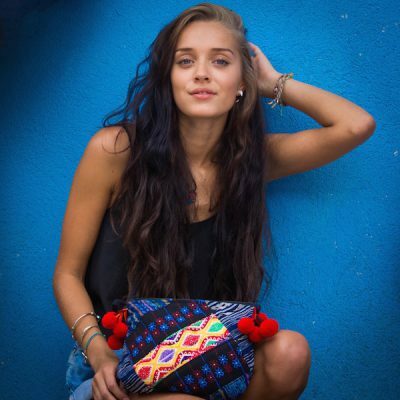 Our MARYSAL pompom crossbody bag is made of typical Guatemalan hand-woven fabrics featuring an aztec ikat pattern in lively colors reflecting the pure zest for life of the Maya Indians.